Once a private estate nestled amongst olive groves, Hacienda San Rafael, is an 18th century hacienda turned idyllic vacation hideaway. With 11 charming suites and three casitas and a restaurant serving delicious local cuisine, at Hacienda San Rafael you can enjoy the best bits of rustic life with all the sophistication of a boutique hotel. 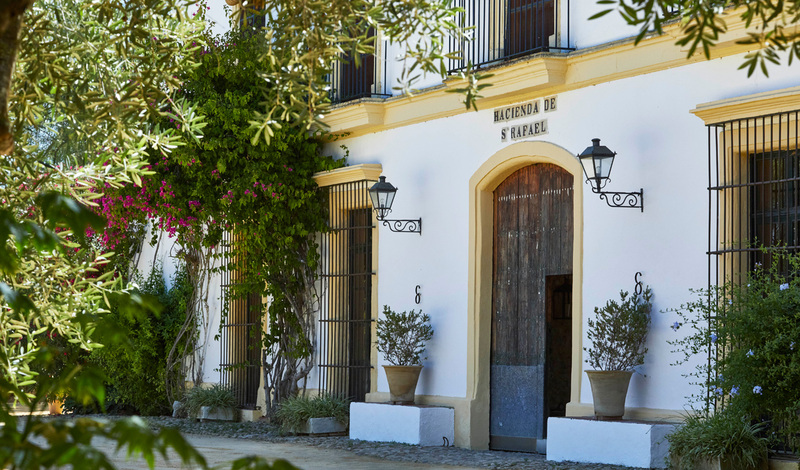 Hacienda San Rafael sits picturesquely by a field of sunflowers in Spain’s Andalusia. Right in between the charming southern cities of Seville and Jerez, you are in the perfect location for a city day trip. 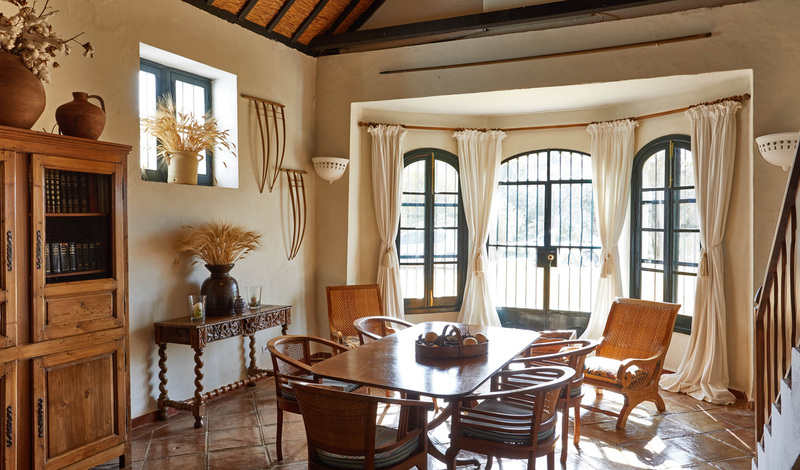 Head to UNESCO World Heritage Site Doñana National Park to experience Spain’s natural beauty or to Andalusia’s pueblos blancos for tapas in an idyllic setting. Plus the Costa de la Luz’s bright blue water and unspoilt beaches are just an hour’s drive away. The eleven suites are dotted around a beautiful bougainvillea courtyard and the three casitas within the East gardens. Individually designed by Kuky Mora-Figueroa, each has its own personality and uses design features from all over the world. Relaxation and privacy are paramount here so breakfast is served on your suite or casita’s private choza (veranda) and the casitas all have private pools. Hacienda San Rafael has the most beautiful and colorful gardens where you can completely unwind and quite literally smell the roses, well lavender and rosemary. If you really want to relax visit the hotel’s unqiue spa, Lazy Buddha, for yoga therapy, massages, ‘happy feet’ reflexology, ayurverdic aromatherapy, reiki and more. With three pools, two bars, a garden restaurant and personalized picnics, Hacienda San Rafael is the ultimate countryside haven. Here you can really get ready to embrace the Spanish siesta culture.